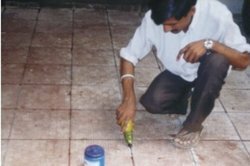 Pioneers in the industry, we offer dry shake floor hardener algihardfloor nm, algicoat epx zn, light duty epoxy floor coating and epoxy mortar system from India. DRY SHAKE FLOOR HARDENER AND WATER PROOFER WHICH IS SUITABLE FOR BOTH DRY AND WET FLOORS. It has 3.5 times abrasion resistance of normal concrete. 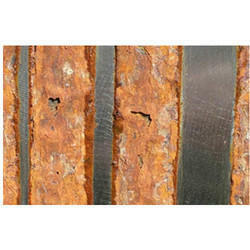 It produces highly abrasion resistant hard wearing surface, based on non metallic aggregates which do not corrode. Ideally suited for, dry docks, dry floors, heavy machine shops etc. Compressive 2 strength of ALGIHARD FLOOR NM is 600 Kg/cm . Spread ALGIHARD FLOOR NM at the rate of 0.4 Kg/Sq. ft. over freshly laid concrete floor (2 to 3 hr after placing concrete) and finish the concrete surface with trowel or preferably with a power trowel. Spread another 0.2 Kg per Sq. Ft. just before the final set (3 to 4 Hours) and finish with trowel or power trowel. Algicoat EPX-Zn is an epoxy coating with metallic zinc, which is especially formulated as a primer for preventing corrosion of steel structures. Surface preparation: The performance of Algicoat EPX-Zn is greatly reduced if the substrate is not cleaned thoroughly of rust, grease, oil etc. This can be done preferably with sand blasting or by cleaning with wire brush. Mix base and curing agent in the proportion of 2:1 by volume in a plastic container. Allow it to remain for 5 minutes and apply at 50 microns dry film thickness. For better durability and performance, second coat of Algicoat EPX-Zn is recommended when applied on steel structures exposed to severe environment. The Algicoat EPX-Zn is non-hazardous but poses a fire hazard. Do not smoke during application or store in sunlight or near hot surface. If it comes in accidental contact with the eyes, wash with plenty of water and take medical advice immediately. Do not store or mix near acids or alkalies as Zinc can react with these to cause hydrogen gas which is inflammable. 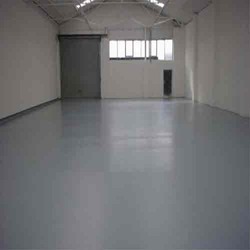 Epoxy Mortar System For Heavy Duty Flooring (3 To 5mm Thickness). ALGICOAT PRIMER 40 sq. ft. / kg. Algihard floor 320 = 1.1 sq. ft. / kg for 3 mm.